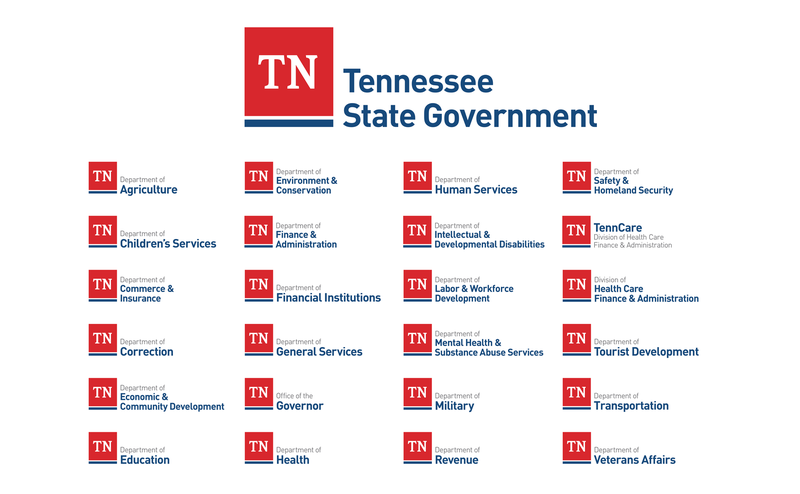 There is a lot of shortsighted chatter around the state of Tennessee’s new branding efforts and, while I don’t have a strong opinion on the logo aesthetics, which has received criticism for its $46,000 price tag, it’s important to commend the holistic approach to uniformity and why this will benefit residents (and taxpayers) in the future. When there’s brand consistency, the need to reinvent the design wheel is eliminated, as are major costs around creative and production. Of course, there are short-term costs around brand transition, the long-term benefits outweigh the short. Most importantly, what the new branding does for Tennessee residents is create a sense of customer experience consistency. Rather than experiencing what looks to be a bad set of kid stickers, Tennessee residents now enjoy a unified, professional offering of government services. “Because each agency had developed their own identities individually there was no shared vision across the agencies, which created confusion for citizens and potential business partnerships as well as within the government,” writes Nashville-based GS&F in describing the reasoning for the new visual identity. GS&F led the re-brand process for the state. It would be unfortunate if the state didn’t enforce usage throughout all agencies, as some have requested an exemption. It’s important that all agencies unite under the same aesthetic, as teams do, and show they want to serve Tennessee proudly, in uniformity. Sometimes it takes money to save money (Note: The $46,000 price tag pales in comparison to what other firms charge for similar work. ), and what Tennessee has done is invested in the future of government service experience. Isn’t that what we want our government leaders to do? Congratulations to Governor Haslam for implementing modern customer experience practices into government and being willing to bring a vision of unity to resident services.